Another Thursday, another throwback. This week it’s time for screencaps of Tom in Episode 3×04 of Miranda.. 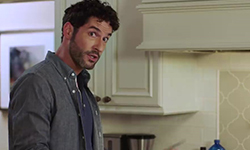 This entry was posted in Screencaps, Throwback Tom, Tom Ellis and tagged Gary Preston, Miranda, Miranda Hart, Pictures, Screencaps, Tom Ellis on March 14, 2019 by About Tom Ellis. Another Thursday, another throwback. This week it’s time for screencaps of Tom in Episode 3×03 of Miranda.. 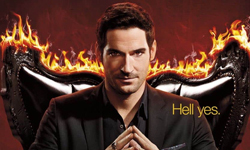 This entry was posted in Screencaps, Throwback Tom, Tom Ellis and tagged Gary Preston, Miranda, Miranda Hart, Pictures, Screencaps, Tom Ellis on March 7, 2019 by About Tom Ellis. Here are also some screencaps of Tom in Miranda’s Daily Dose of Such Fun. 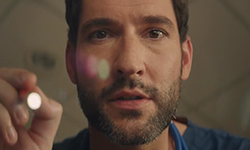 This entry was posted in Screencaps, Tom Ellis and tagged Comic Relief, Miranda Hart, Red Nose Day, Screencaps, Tom Ellis on March 6, 2019 by About Tom Ellis. Another Thursday, another throwback. This week it’s time for screencaps of Tom in Episode 3×02 of Miranda.. This entry was posted in Screencaps, Throwback Tom, Tom Ellis and tagged Gary Preston, Miranda, Miranda Hart, Pictures, Screencaps, Tom Ellis on February 28, 2019 by About Tom Ellis.